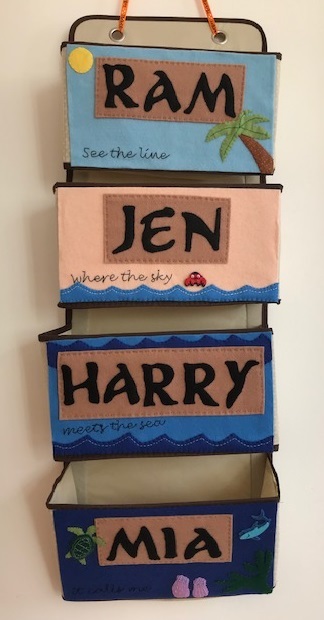 Jennifer's Little World blog - Parenting, craft and travel: "Is it much more difficult now that you've got two?" "Is it much more difficult now that you've got two?" Since having Mia, lots of people have asked me whether things are much harder now that I have two. I'm never sure how to answer. Of course it is more difficult with two, there are two little people demanding attention at once, and getting out of the house is even more of a mission. There are many times, especially late afternoon, when they are both unhappy at the same time and seem to be seeing who can complain the loudest. Often at the weekend my husband and I will take a child each, and it feels like such a break with just one to focus on. But on the other hand, now that Mia is growing up, sometimes it is a lot easier when I have them both. Harry goes to nursery for a day and a half a week, which we carried on when I went on maternity leave so as not to disrupt him too much. In the beginning, I would call Monday my 'day off' because Mia would generally be sleeping or feeding and was pretty easy to look after. But now I can tell that she is getting bored when it's just me. Although she does have a bit of a break from being jumped on by Harry, she also misses the entertainment that he provides. When he comes back through the door her face lights up, and in turn he runs to her before coming to me. Mia loves watching Harry playing (although he doesn't always love her scrambling for his toys) and the two of them interact beautifully. He plays peekaboo with her, he finds toys for her, he talks to her and he sings songs to her. In return she entertains him - she pulls his hair, "tickles" him and grabs his feet. Now that she is crawling, she chases him about when he's running through the house. As they get older, and the age gap between them becomes less marked, I hope that they will continue to play together and entertain each other. So although many things are harder with two, some things are also much easier, and entertaining the baby is one of them! 18 months isn't very long, that must have been hard! I have 2 1/2 years between mine and it has worked really well for us, although obviously you never know any different! Well I always say that the first few months with the second were much easier than the first few months with the first! It is so lovely that they interact well and keep each other amused. It will happen more and more as they get older. I hope so, they seem to be so different at the moment but as they get older I know that the age gap between them will seem less and less. I can't imagine what it must be like adding another couple into the mix!